Resins (PP, POM, etc. 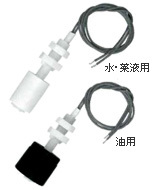 ), that offer high resistance to corrosion, are used for the sensors .Can measure various liquid chemicals. A Horizontal installation type made of SUS (SUS304, SUS316) is also available. 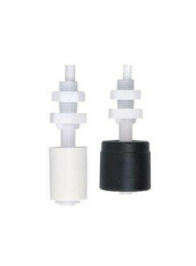 A variety of products are available including sensors for water and liquid chemicals. Detects liquid levels of water, chemical agents, and oil. *1: The L dimension means the total length from the bottom of the screw.